Dokan is the best front end multi vendor marketplace on WordPress, powered by WooCommerce. Build your own Amazon, Shopify, eBay, Magento like marketplace in just 30 minutes. Dokan is the fastest way to start ecommerce and earn through commissions with products ranging from digital, physical to variable. We love the philosophy of a complete frontend experience. So, vendors have their personalised dashboard on the store frontend where they can find all what they need. Backend access is restricted to the admin only. This sets Dokan apart on a higher ground. 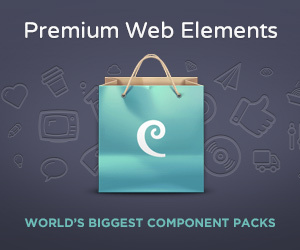 All of our add-ons are frontend compatible. Dokan(Pro) comes with a free responsive ecommerce theme that has widgets specially made for Dokan. We regularly keep our version updated for flawless operation and integration with dependable services. We just not only keep things compatible, we have a style of adding the most trendy new features to Dokan with every update. You can have unlimited vendors and vendors can create unlimited products. Currently 5 product types are supported eg. physical product, downloadable product, variable product, bookable products through the Dokan WC Bookings add on and auction products through the Dokan Simple Auction add on. Profit doesn’t only rely on sales. Multiple ways allow earning through vendor commissions or product based commissions. You can also create subscription packs that allow you to charge for product uploads, product limits and time. As a an admin, you can use Dokan in a way where you can control everything that happens in your marketplace. Product publishing, vendor registration, subscription renewal and every other vendor activity can be re routed through you. Get the Pro Version with bunch of super features, updates and scope for powerful add-ons. Every seller gets their own store with a unique URL and branding. WordPress admin area can be accessed only by admin. Vendors manage products, orders, withdraws everything from site frontend. A part of the sale value is sent to admin as commission. Commission rate can be customized. Vendors can see their sales report, generate statements and overview from frontend. Admins can overview orders and filter by sale, by date, top vendors or top earners. Export order reports to CSV. Manage and offer discounts for each product. Set expiry and restriction for coupons. View all reviews on products left by customers. Dokan Pro has update and support option for customer. Admin can enable/disable the map on the store page. Admin can also enable/disable the store sidebar from theme. Admin can manage new product status. Admin can set the order status for withdraw.